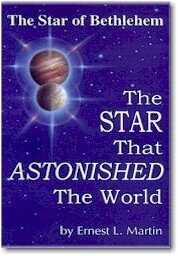 You can order The Star of Bethlehem: The Star That Astonished the World here: Order Book. Watch: the Star of Bethlehem Video created by Griffith Observatory. by Jeff Rense on his nationally syndicated radio show. Listen: to the Byte Show Interviews of this book. See the Byte Show box below. Listen: to the Reading of the chapters in this book by Charlie Corder. or click on one of the MP3 links below. ASK is grateful to our contributors who make it possible for this book to be posted free Online for you. It is to be read and printed for personal study only, and is made available for study search on the ASK website. Any use of this book other than for your personal study without the express written permission by Associates for Scriptural Knowledge is strictly forbidden. Chapter 2: Who Were the Wise Men? Chapter 3: Was the Star a Real Star?